An exciting journey marked by spectacular designs, sparkling gemstones, thousands of happy customers and countless memorable moments. 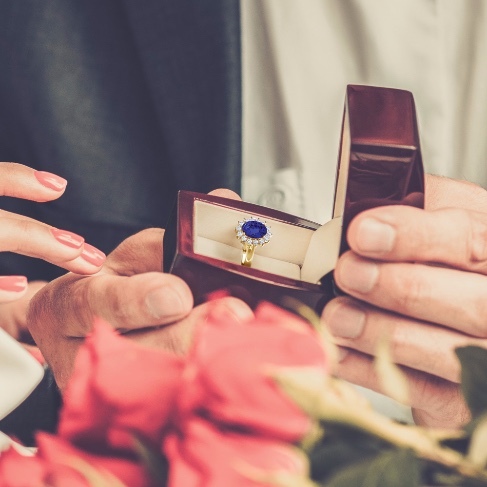 When you have a perfect ring, the hardest question becomes simple. 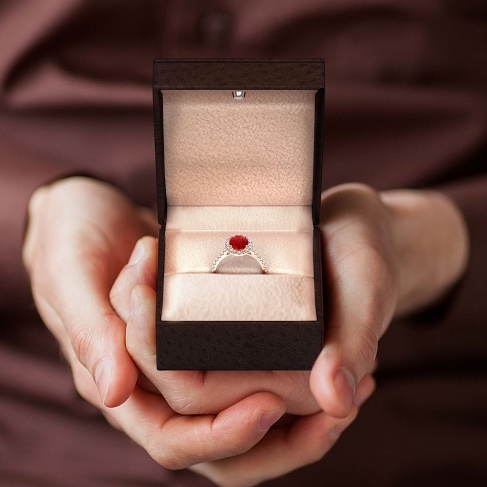 To ask your vital question simply, get this exquisite Crown ruby solitaire ring. 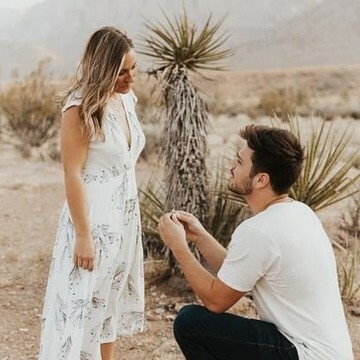 Fashioned in enduring 14k rose gold to represent the strength of your relationship, the ring features a horizontally placed oval ruby with meticulous cutwork underneath for a beautiful vintage look. Further, this designer ruby ring gets more brilliance through the accents diamonds studded on the band. The stunning emerald on the solitaire ring dazzles in a prong setting. 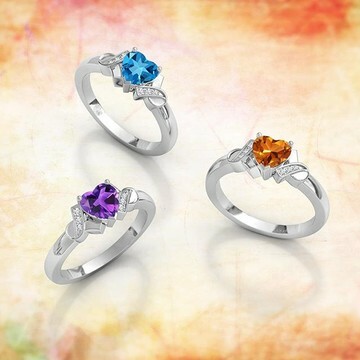 To enhance its rich hue like the rainforests, there are diamonds embellished on the 14k white gold infinity twist shank. The scroll work detailing on the gallery further elevates the beauty of this emerald cut emerald ring. 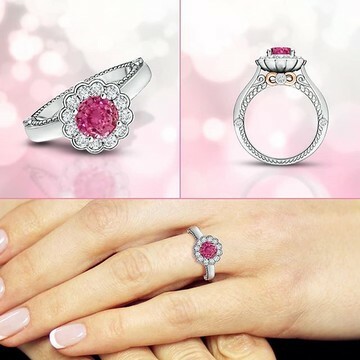 A ravishing red ruby in a prong setting is surrounded by a glimmering diamond halo. 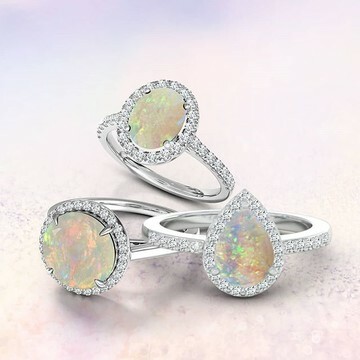 The shoulders of the ring are also adorned with diamond accents for added sparkle. 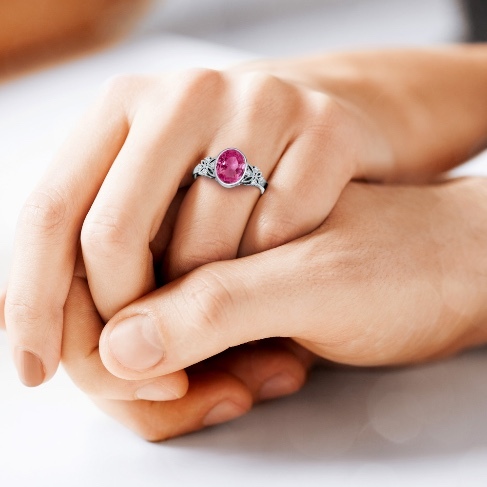 Crafted in 14k white gold, this round ruby halo ring is simply luxurious. 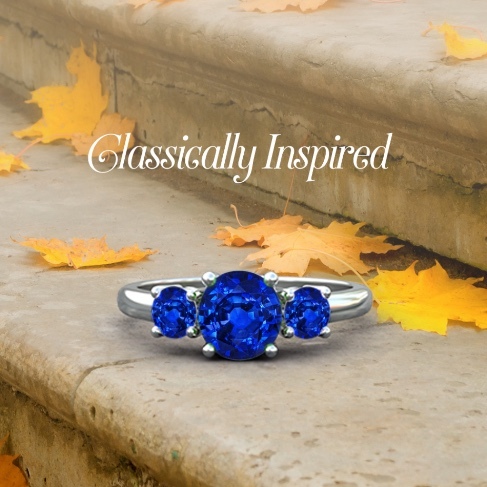 At the core of a scintillating floral halo is an oval blue sapphire, held in a prong setting. This oval blue sapphire ring is inspired by Princess Diana's beautiful engagement ring. 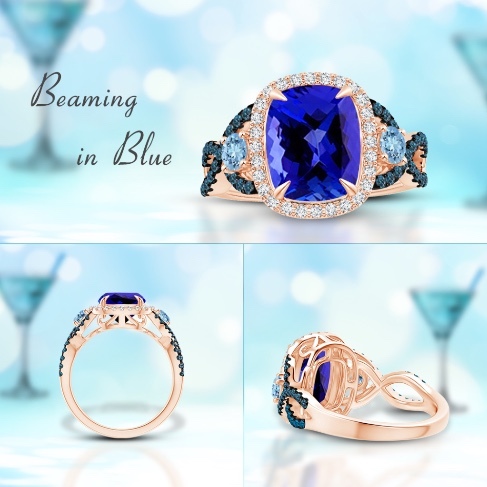 It is crafted in 14k white gold and bespeaks glamour and elegance. The cushion ruby exudes a striking red hue. Diamond accents in pave settings surround the center stone and adorn the shoulders of the 14k white gold prong set ruby ring. The intricate scrollwork on the gallery infuses a sense of sophisticated charm. 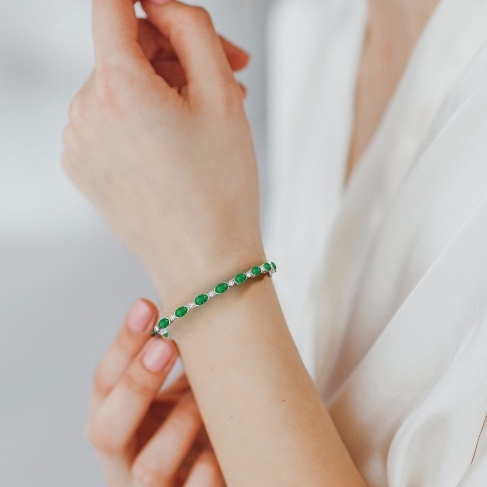 This emerald tennis bracelet with catch clasp looks luxurious in 14k yellow gold. The oval emeralds and the round diamonds are alternately prong set in a row for a mesmerizing effect. 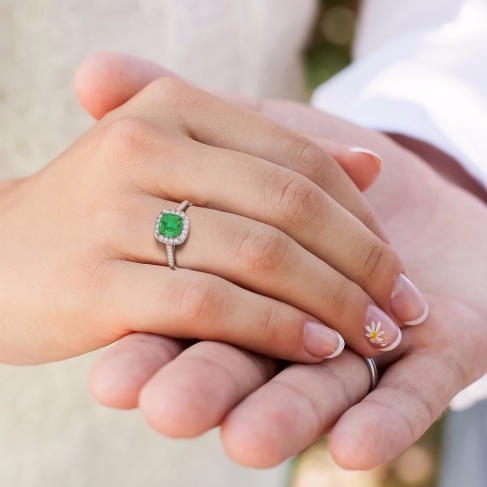 An oval emerald prong set on the 14k white gold band, evokes a lush green allure. 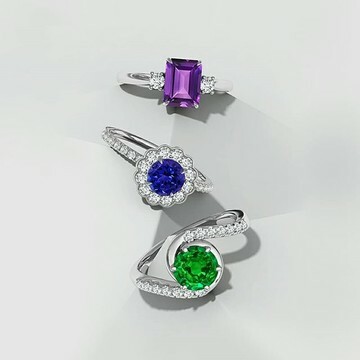 It is flanked by trios of sparkling diamonds that enhance the fascinating emerald. The reverse tapered shank of this solitaire emerald ring infuses a sophisticated edge to the design. 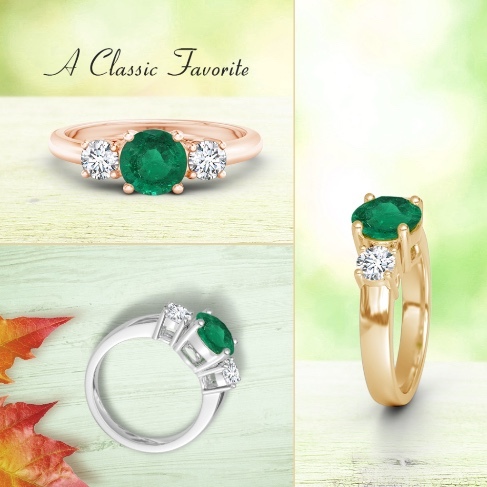 The round GIA certified emerald prong set at the center exudes a sparkling rich green hue. 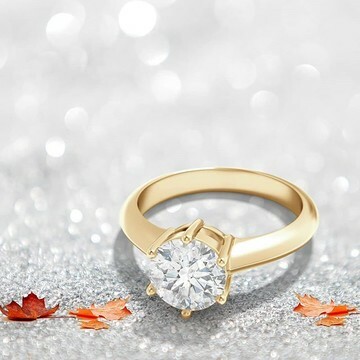 Prong set white diamonds flanking the center stone, enhance its intriguing beauty. 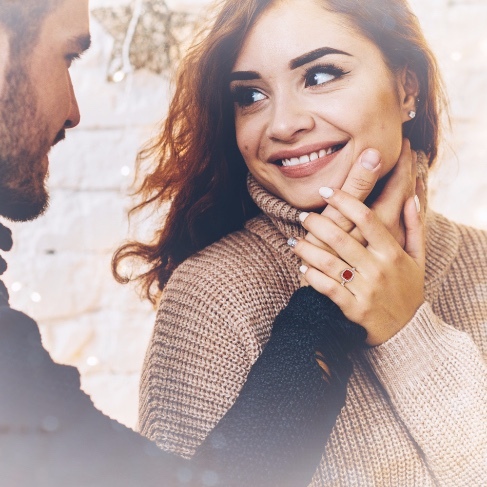 Designed in 14k Yellow gold, this elegant emerald and diamond three stone ring is the perfect representation of your memorable past, exciting present and promising future. 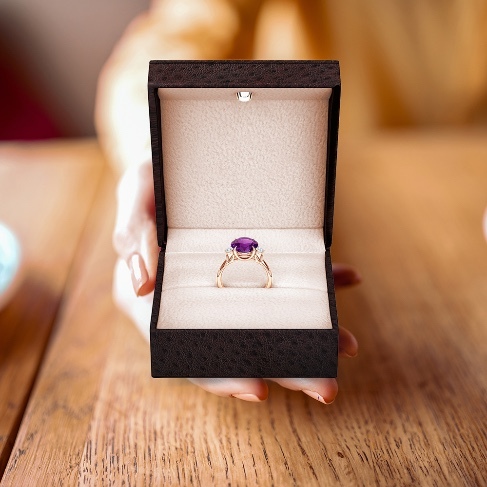 Crafted in 14k rose gold, this three stone ring features a round velvety purple amethyst and two diamonds, secured in claw-prong settings. 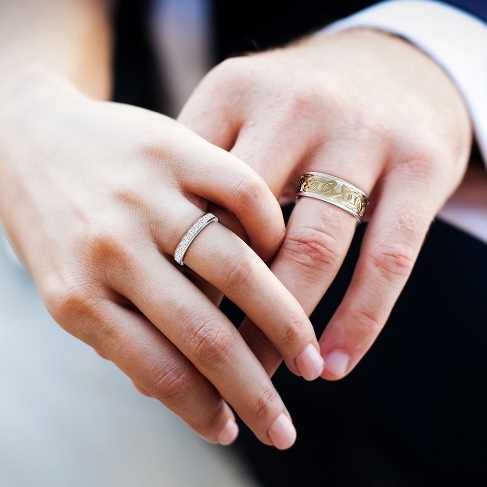 This elegant and classic three stone ring represents the past, present and future of your relationship. 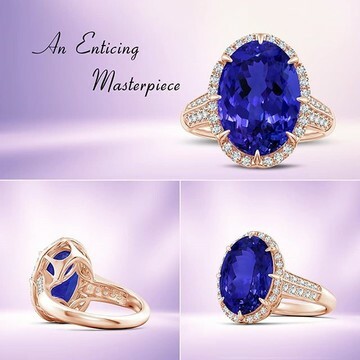 The oval ruby in prong setting captivates you with its purplish red sparkle. 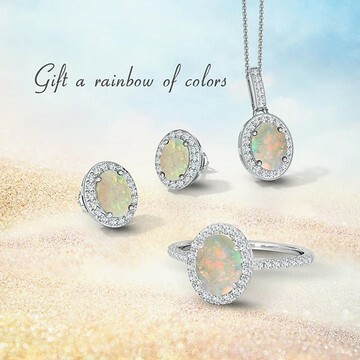 Glimmering diamond accents encircle the center stone and adorn the shank for a luminous edge. 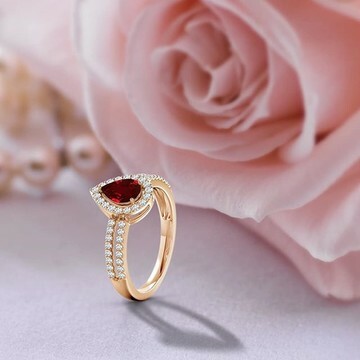 This ruby and diamond halo ring is designed in 14k rose gold. Drawing inspiration from elegant vintage patterns, the cathedral set emerald ring is crafted in 14k white gold. 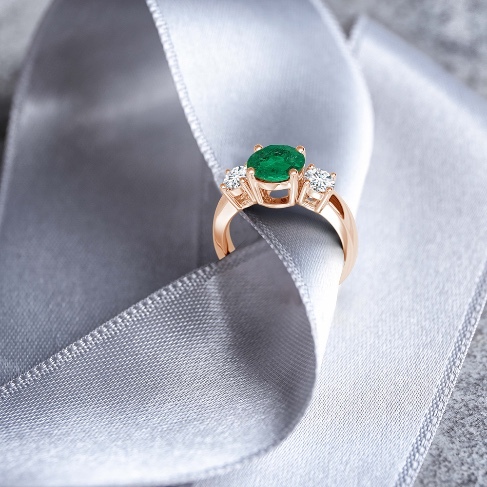 The rich green cushion emerald is surrounded by a glimmering diamond halo. 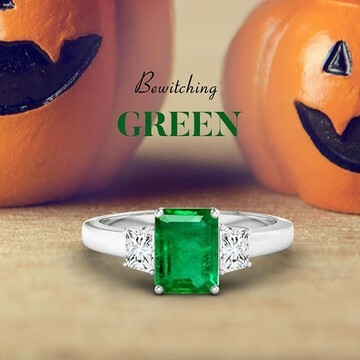 Pave set diamonds on the shank and bezel set diamonds on the gallery lend a glamorous element to this emerald ring. 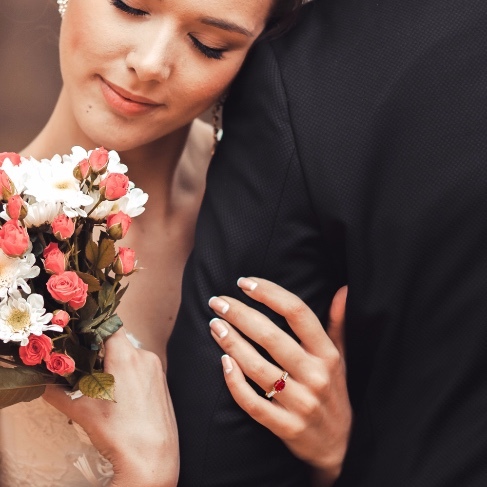 Our collection of wedding and engagement rings make memories that last a lifetime. The defined and sophisticated beauty of this 3 stone emerald and diamond ring enchants every discerning eye. 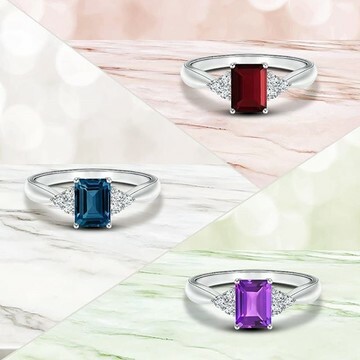 Secured in prong settings, the lush green emerald-cut emerald is held between two trapezoid diamonds. 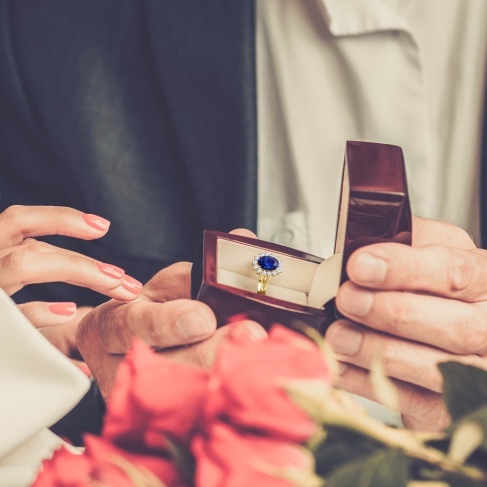 This emerald ring is designed in 14k white gold and symbolizes the past, present and future moments of life. 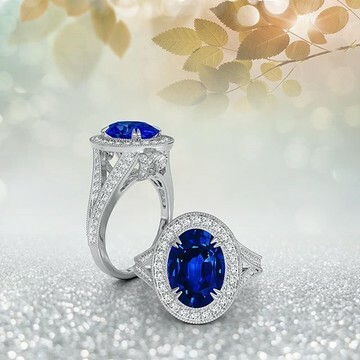 The oval blue sapphire is prong set amid two sparkling half moon diamonds to form a remarkable three stone combination. 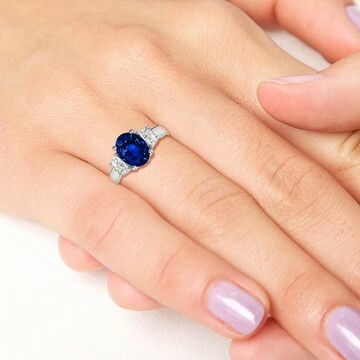 A beautiful trellis pattern on the gallery completes the timeless look of this 3 stone sapphire and diamond ring in 14k white gold. 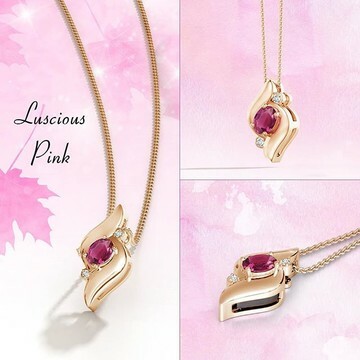 A delightful pink sapphire is mounted in a sophisticated bezel setting. 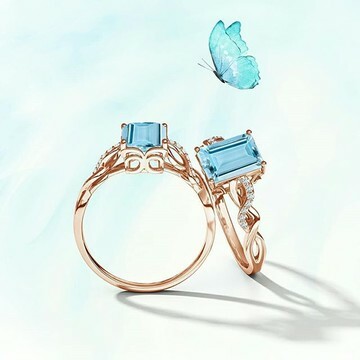 The intricate band has aesthetically designed butterfly motifs with milgrain detailing. 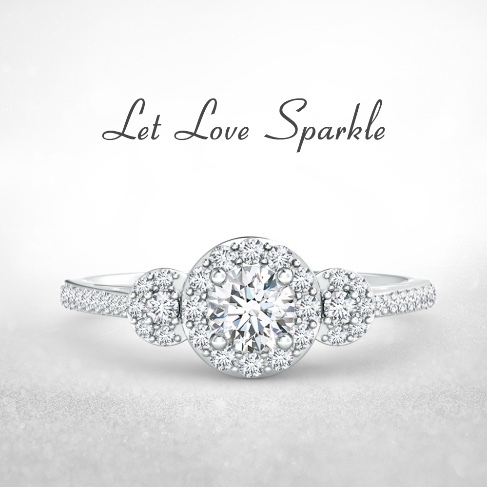 Shimmering round diamonds are encrusted on each side for extra dazzle. 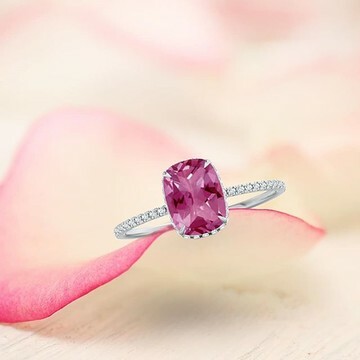 This 14k white gold gorgeous oval pink sapphire ring has a refined antique vibe. 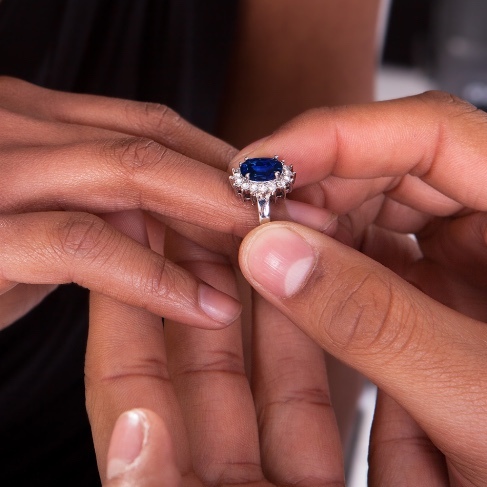 The prong set blue sapphire sits beautifully within a glimmering halo of diamonds. 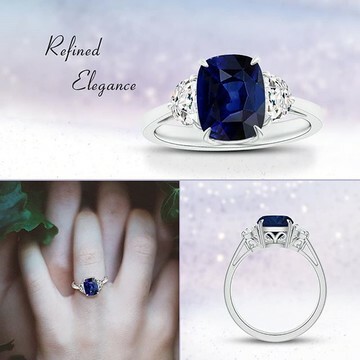 Additional diamond accents on the split shank and the detailing on the gallery infuse a hint of opulence to this striking 14k white gold oval sapphire ring. 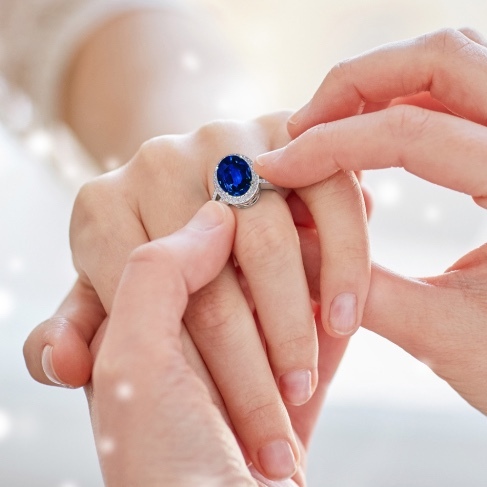 This 14k white gold three stone blue sapphire ring captivates the senses with its alluring brilliance. 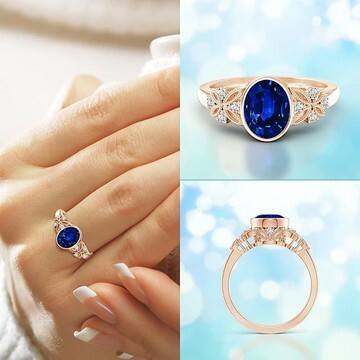 The prong settings of the round sapphires form a decorative trellis on the gallery and lend a beautiful side view to the ring. 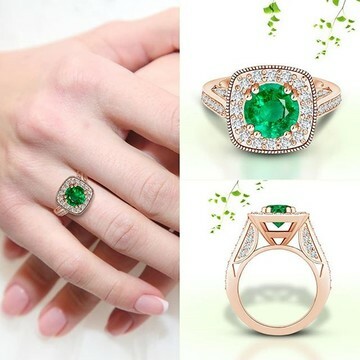 Perfect for anyone who likes the color of foliage, this is a timeless round emerald ring, flanked by shimmering diamonds. With a brilliant-cut crown and a step-cut pavilion, this 1.81-carat GIA certified emerald steals the show. 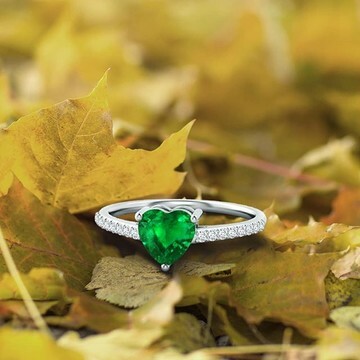 The side diamonds highlight the beauty of the green gem. 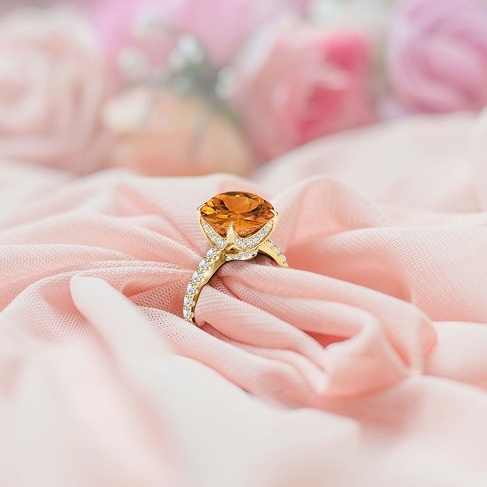 This three stone ring is a classic symbol of the past, present and future of your love. 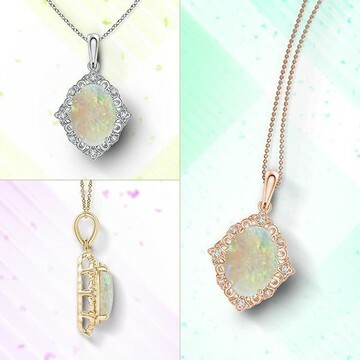 Win her over with this jewel. 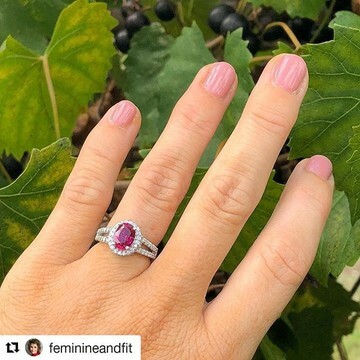 #Repost @feminineandfit ・・・ Can’t stop smiling and admiring the ruby engagement ring my fiancé created for me from @angarajewelry . Oh so chic and blue! 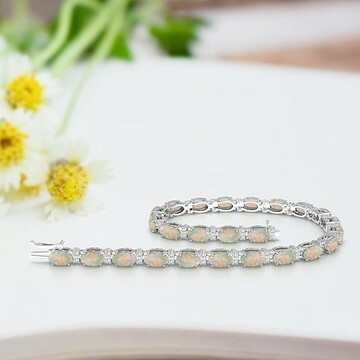 Shop this cocktail sparkler. Better than a thousand words.